From birth through age 5, a child's brain undergoes its most dramatic growth. While human growth is highly individual and dependent upon both nature and nurture -- or, genes and environment -- there are some general milestones. According to the National Association for the Education of Young Children, these milestones fall within four domains of child development: cognitive, emotional, physical and social, with growth in one domain influencing growth in others. Children are constantly expanding and reorganizing their mental structures as they process their experiences. The structure of their brains actually changes. Activity causes the brain to create and eliminate neural circuits. This happens throughout life, but it is most common in early childhood. Children learn from observation, activities and from direct instruction. But, to improve cognitive functioning, activities and instruction must align with the child’s stage of development and with his cognitive capacities. 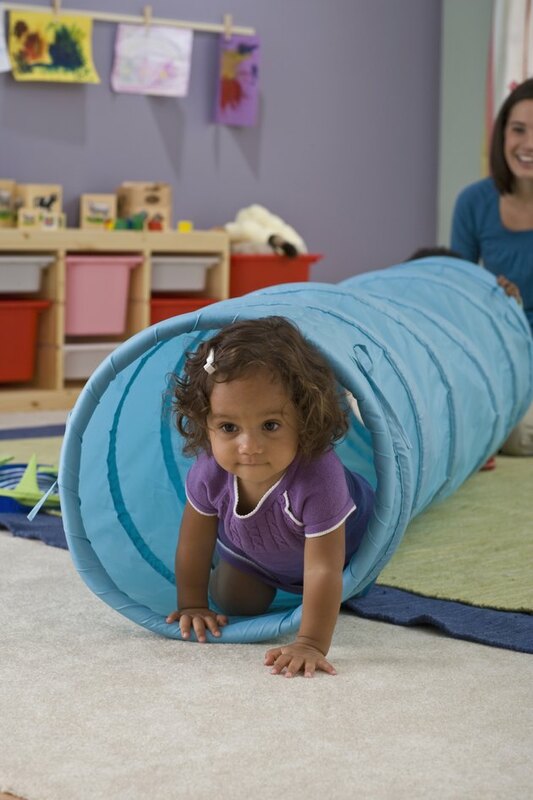 Motor skills refer to the physical abilities young children develop. Gross motor skills are large movements using the arms, legs and feet. Fine motor skills are smaller movements, such as those with the fingers and thumbs. Gross and fine motor skills develop together as many activities rely on their coordination. While physical growth follows a defined pattern, it is influenced by genetics, weight at birth, nutrition, child-rearing, temperament, social class and ethnicity. Play is an essential part of human growth and development. According to Doris Bergen, Distinguished Professor of Educational Psychology at Miami University, pretend play can facilitate perspective taking and abstract thought as well as social and linguistic competence. It helps children learn to socialize and solve problems, and it connects children to their imagination, environment and other people. Play actually changes the brain by forming connections between nerve cells. David Whitebread, Senior Lecturer in Psychology and Education at the University of Cambridge, claims that “Play in all its rich variety is one of the highest achievements of the human species, alongside language, culture and technology” and that these other achievements would not be possible without play.